Just picked up my first MacBook Pro and I’m getting my development environment setup. I’ve been using XAMPP on Windows 10 and it’s been working great. Of course it is a completely different game on a Mac so I thought I would share a few things that I noticed that might not be as obvious for a Windows user moving to Mac. This was straight forward, download from https://www.apachefriends.org/download.html and follow the installation directions. 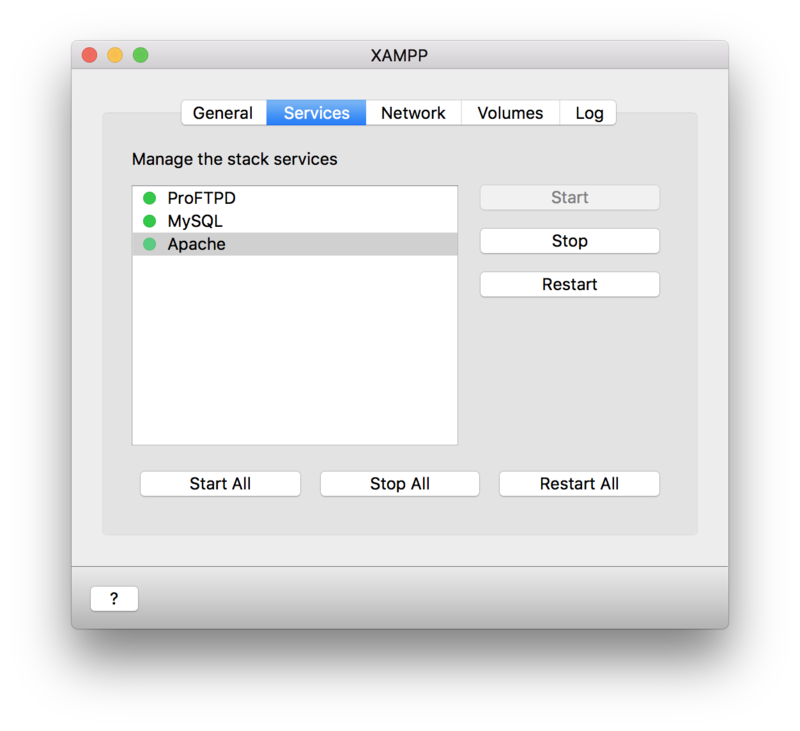 You will need to launch XAMPP and select start on the general tab to get the service up and running. Then move to the services tab to start Apache and MySQL. Once these steps are compete your stack is up and running. 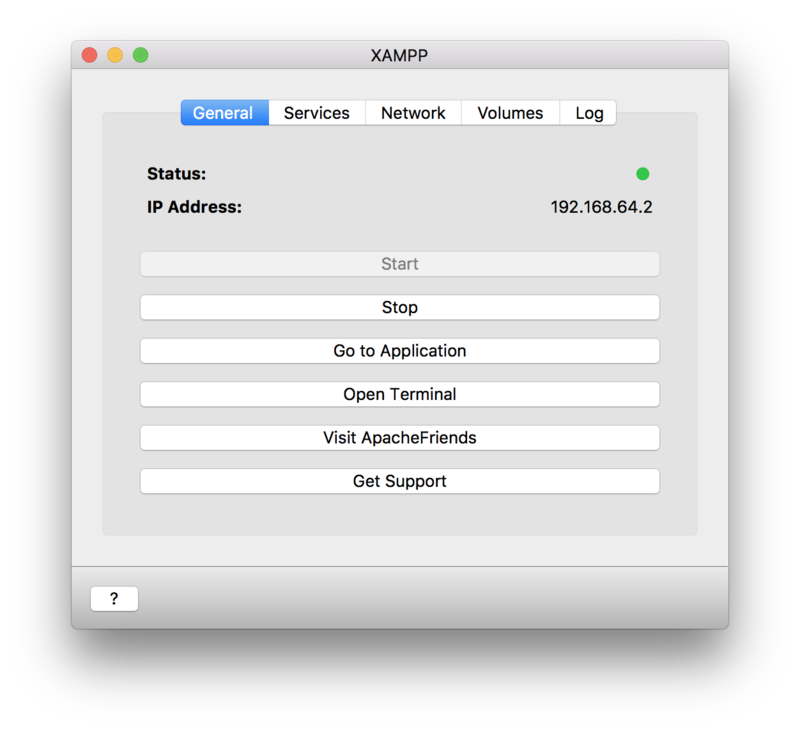 You can test that everything working by returning to the General tab on XAMPP and locating the ip address. Enter the ip address in your favorite browser and you should be taken to http://192.168.64.2/dashboard/ (your ip address/dashboard). This is where things were different and it took me a little time to locate the htdocs folder. 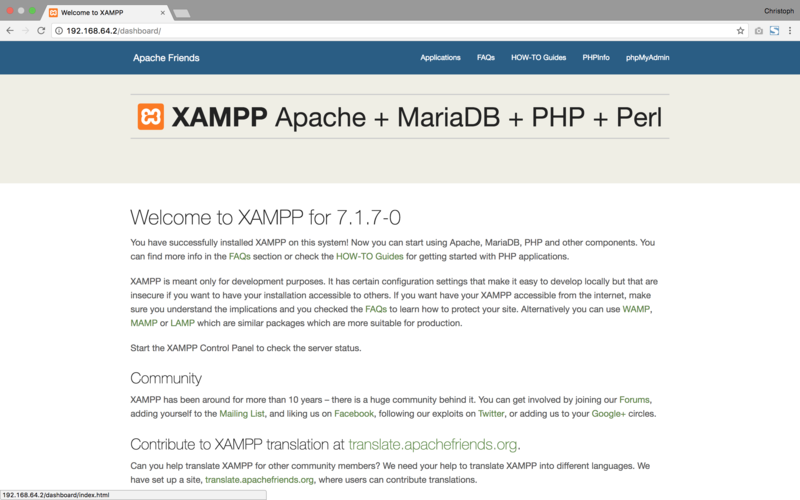 In XAMPP, you will want to move to the volumes tab and mount the data volumes to /opt/lampp. You can now select the explore button and it will open finder and you can navigate to the htdocs folder, upload and download your files. Everything was great so far but I use GULP in my work flow so I need to run commands in certain folders as I work. 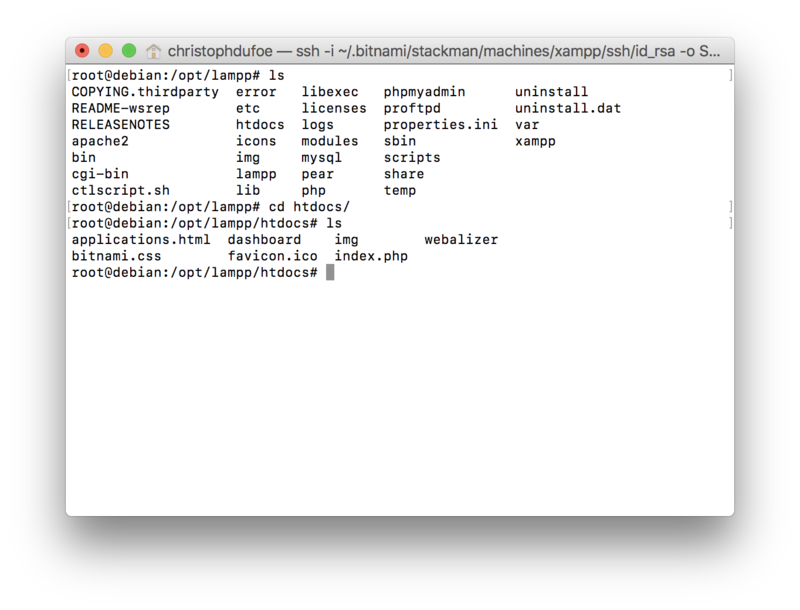 I tried to find /opt/lampp within my file system going as far as trying to locate it thinking it was just hidden. I never actually found documentation on how it works but I did notice the button on the General tab called Open Terminal. I was able to find /opt/lampp in the virtual environment and everything is looking great. Here’s the kicker. I got everything setup and realized that XAMPP uses some sort of virtual Debian based environment which I could access using the provided tools but…I would then need to get npm, git, grub and anything else I wanted to use setup within that environment. I really want to use my Mac a bit more natively and I’ve already setup node.js, etc. so I decided to scrap using XAMPP and went with MAMP. I’ll put together a quick guide soon. Let me know if you have a favorite stack option or need any help with this setup in the comments below.